JAN-PRO opened its London office in 2014 and has been providing quality cleaning services to “The Forest City” ever since. The largest municipality in Southwestern Ontario, London is a regional hub of health care and education, being home to the University of Western Ontario, Fanshawe College, and several hospitals and medical clinics. The city boasts an impressive manufacturing sector and in recent years, has become home to a number of information technology companies, all of which require a trusted janitorial partner. What makes JAN-PRO different than other office cleaning companies? We believe that it’s our complete dedication to bringing the best commercial cleaning services to our clients in the London, Ontario area and across the country. JAN-PRO uses safe and eco-friendly cleaning technologies and products, making us a healthier choice when it comes to office cleaning. 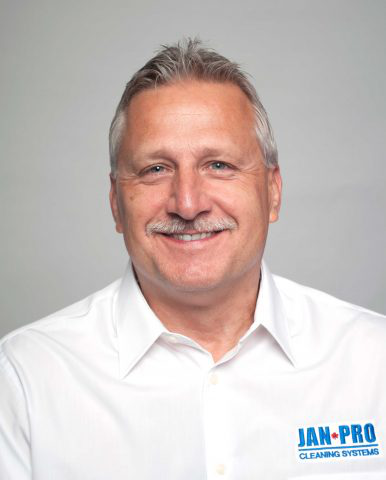 If you require dependable, thorough, and trustworthy cleaners, choose JAN-PRO. We’ll be The Last Cleaner You’ll Ever Hire®! At JAN-PRO, we promise that you’ll be 100% satisfied with our janitorial services. We guarantee that all of our work will be done correctly, according to your cleaning schedule. We also guarantee that any issues you might have with our service will be resolved within one business day. When you choose to work with JAN-PRO, you are choosing to work with a commercial cleaning company who stands behind its processes and is dedicated to offering healthier, greener cleaning services to businesses like yours. Our entire JAN-PRO London, Ontario team is WHMIS Trained, MedMetrix Certified, and have undergone thorough background checks, so you can feel confident in your choice of cleaning company. We create custom cleaning packages for each of our clients—meaning you’re only charged for the janitorial services your business actually needs. JAN-PRO London does more than clean! All of our cleaning products are eco-friendly and are always used correctly by fully trained, expert commercial cleaners. Whether it be a medical facility, school, office building or manufacturing plant – JAN-PRO has the expertise to provide reliable and consistent service to a wide array of customers in London. From the start of the JAN-PRO process, we will work with you to ensure you receive the best commercial cleaning quote, not only for your budget, but also customized to meet the specific cleaning requirements of your business. In addition to regular service, JAN-PRO also provides several special services such as hood cleaning, strip & wax of floors, carpet cleaning, deep cleaning and more should your facility require it. With certified and trained owner-operators, JAN-PRO is your partner in providing a safe and healthy environment for your employees, customers and patients. Furthermore, as a bonded and insured company, you can rest assured knowing that your facility is in good hands. JAN-PRO Cleaning Systems of Southwestern Ontario is a regional office that opened in March of 2014. Our office has attracted many motivated business owners to apply for franchising opportunities. The initial interest and growth of our selected franchisee base has exceeded our regional expectations. We are moving forward with confidence in offering the best commercial cleaning services available to London and beyond!